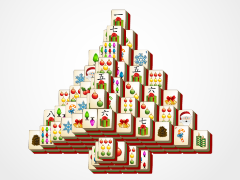 All we want for Christmas is the best Christmas Mahjong around: Christmas - Mahjong .com! 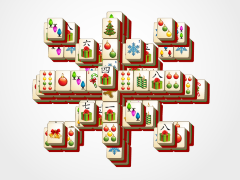 Christmas cheer has a new home here and your favorite puzzle game is now in a beautiful Christmas theme with great music, mahjong tiles, and 12 different layouts to keep you entertained with mahjong games all Yuletide long! 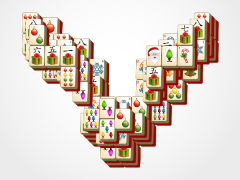 Mahjong Solitaire, Christmas style, is played just like the original 247 Mahjong game, but it just has a great Christmas theme! 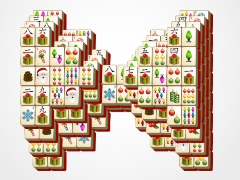 Match mahjong tiles in identical Christmas pairs to remove them from the Christmas board layout! 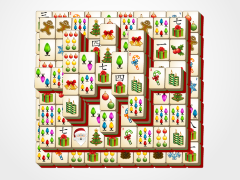 The strategy is to remove all the tiles from the Christmas board! 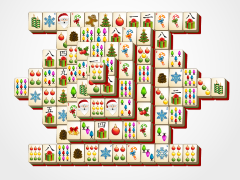 Once this is achieved, you will be the Christmas winner! 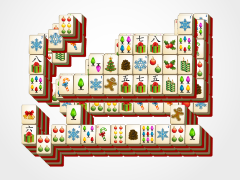 Special mahjong tiles are shown below. 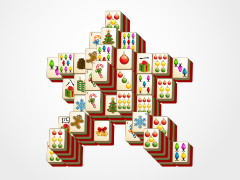 These mahjong tiles can be matched to any of the tiles in their set. 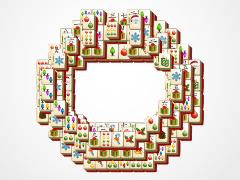 So, Flower Christmas Mahjong Tiles may be matched to any of the other four in the set! 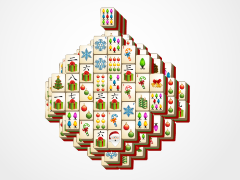 This is a real mahjong lifesaver as the games get difficult. 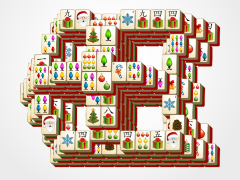 So have a Holly Jolly Christmas this year with Christmas-Mahjong.com!